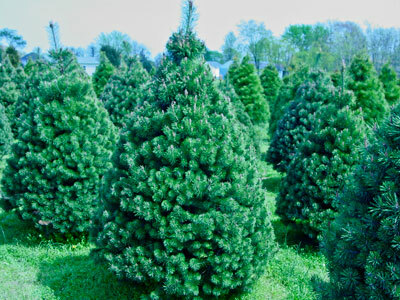 Regardless of the type of evergreen tree you purchase, you will need to give it proper care to insure that it remains fresh, attractive and safe throughout the holiday season. If you plan to keep your tree outside for several days before you set it up, keep it in a cool, shaded area, which is sheltered from the wind. Place the tree in a bucket of water and replenish the water daily, until you are ready for set up. 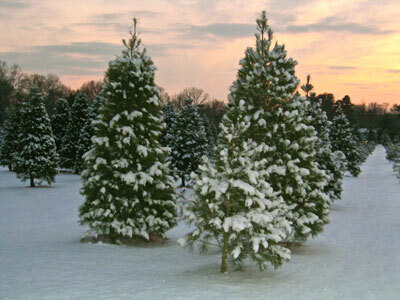 Before putting your tree into its stand, cut an inch or two off the bottom of the trunk. This fresh cut will allow your tree to take up more water. Set your tree into its stand and secure it with the fasteners provided. Once the tree is in the house, try to position it away from heat sources, as this will help it to maintain its moisture and prevent it from drying out. Once positioned, fill the tree stand with water, making sure that the water level is above the bottom of the trunk. Fresh trees take up water at a very fast rate. You should check the water level two hours after setting up the tree. Then, check the water level at least once daily, making sure that the bottom of the trunk is always covered with water. 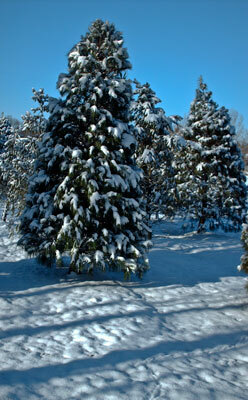 It is not uncommon for trees to take up a quart or more of water each day. Buying a balled tree for use as your Christmas tree is a great idea. Most Christmas tree growers will assist you by digging the tree and wrapping it in burlap. 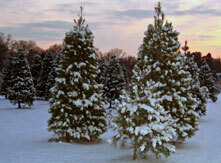 You will need a sturdy and roomy vehicle (pick-up truck or SUV) to transport your tree from the farm to your home. A six foot balled tree will weigh approximately 125 pounds, so it would be a good idea to have a strong friend give you a hand. In order to help your tree adjust to the changes in temperature and humidity that it will experience, you should plan to transition the tree into your home in stages. When you arrive home with your tree, place it in a large tub and support it in an upright position. Place it in a sheltered but unheated area, like an enclosed porch, a shed or a garage. Keep it there for at least a few days. During this time, spray the root ball to keep it moist. When you move your tree indoors, try to position it away from heat sources. Continue to moisten the burlap, which covers the root ball, throughout the time the tree is in the house. 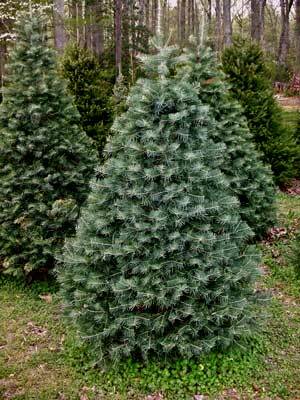 When you are ready to take the tree outside, you will help the tree to acclimate to the colder outdoor environment by placing it in a sheltered and unheated area for several days, before you plant it in your yard. To dig a hole for your tree, first measure the diameter of the root ball. Add ten inches to the diameter and that will be the width of the hole. Measure from the top of the root ball to the ground. This will indicate how deep you will need to dig the hole. Once the hole is dug, place the tree next to the hole. Gently remove the string and the burlap. Place the tree in the hole and fill the space around the root ball with dirt. Tamp the dirt firmly to provide stability for the tree. When planting is completed, if the weather is well above freezing, water thoroughly. Apply at least five gallons of water for several days. Then, continue watering once weekly until your tree is established.